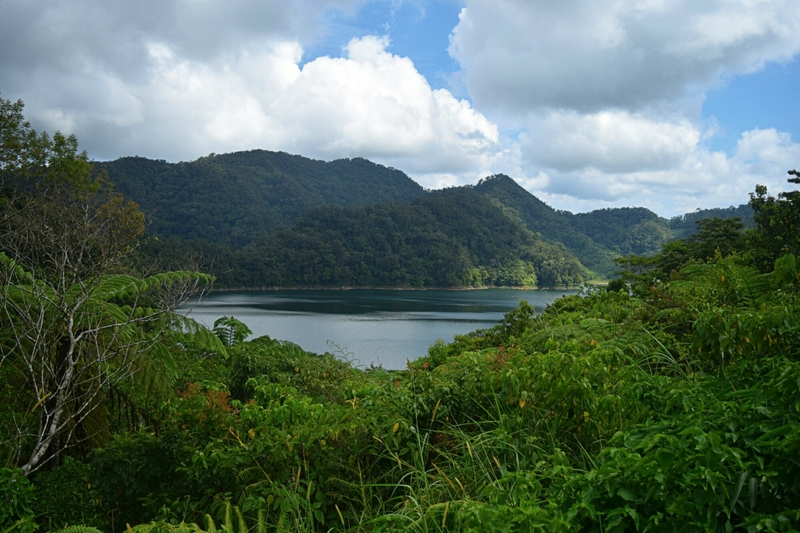 Balinsasayao Twin Lakes Natural Park: The cloistered natural beauty that provides tranquility. What I love about seeing nature’s wonder is the unexplained feeling that it passes on to me. Acquiring peace from our inner self when we are out of nowhere is really hard, but when we commune with our mother nature, we will always get the peace of mind that we have longed for. It’s not that we totally evade from the realness of life because that’s our real world, but at least we give ourselves a chance to see the world in other perception. There are always more beneficial ways to celebrate life than resolving on our comfort zone. And that is something we should constantly learn, because life is not about duplicating the things that we already used to but somehow doing the things that are new to us. A natural wonders of Negros Oriental that is shrouded in the lush scenery green mountains of Sibulan, It is located just a few kilometers away from the town of Dumaguete City. 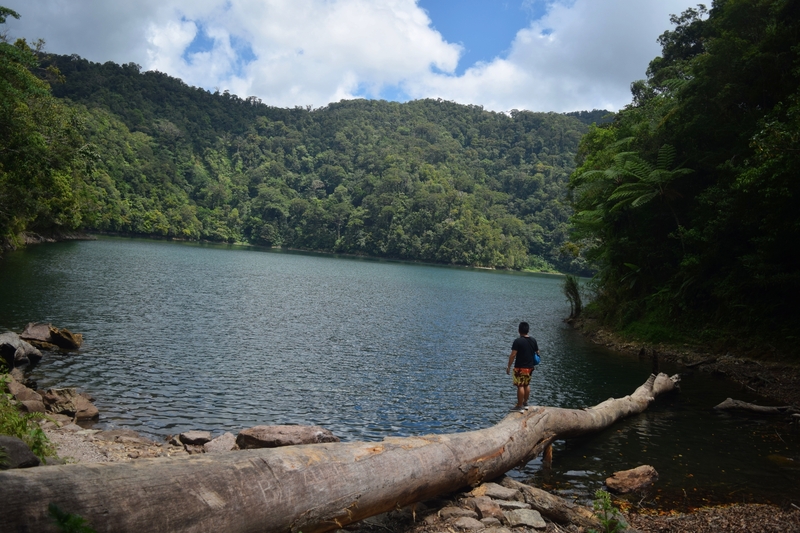 The awesome paradise of Balinsasayao Twin Lakes Natural Park has been possibly the most visited natural wonder in the entire Negros Oriental Province. It is, without question the must-visit tourist destination that one can never miss to explore. The twin lakes are two small crater lakes disunited by a retentive and not wide, elongated ridge in a void space wreathed by four different Mountains facing the west, east, north and the south. They are situated along the easterly part of the Talinis mountain range, which are volcanic in origin. Coming up on an aberrant bandwagon of life was what brought my two little itchy feet on this secluded destination. I’ve been to Negros Oriental province remarkably in Dumaguete City several times, possibly because there’s something in the “City of Gentle people” that invariably makes me wanted to go back. And that is because I haven’t explored much of the natural tourist destinations of Negros Oriental. 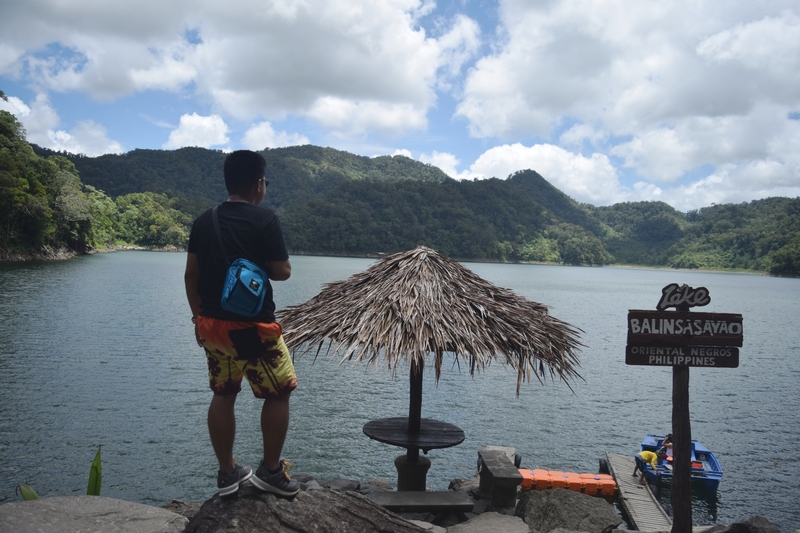 They said going to places you’ve never been is the most exciting thing you could ever have, and barely so when me and my cousin decided to visit Balinsasayao Twin Lakes was really exciting. I actually never got a line of lakes that are twin, so it was exactly what caught my attention. 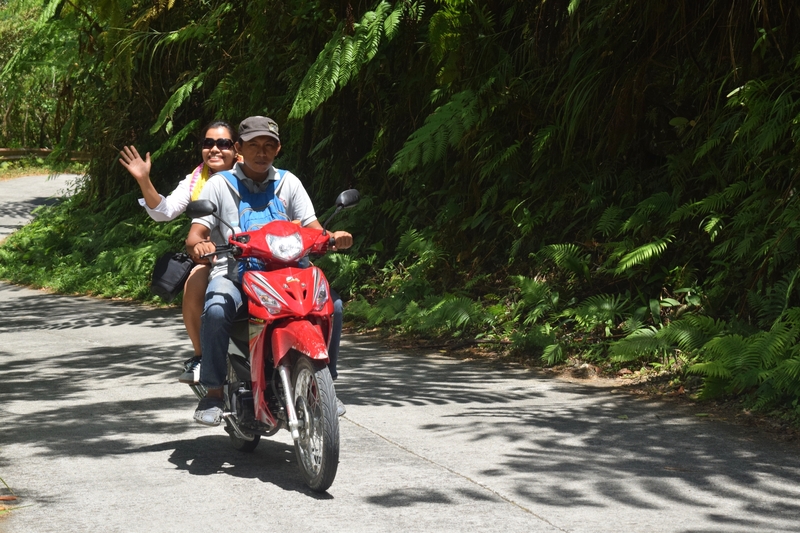 Since the common transportation going to secluded destinations in the Philippines is Habal-Habal (Motorcycle). Me and my cousin ride a Habal-Habal going to Balinsasayao Twin Lakes. According to our driver (Kuya Rhengie), a few years ago the road giving way to twin lakes was not yet concreted. A lot of travelers before who really challenged from steep trails leading to the twin Lakes. Thus then I imagined how jouncy the ride was, how those travelers would able to manage the 13.5 kilometers of rides going to the Lakes. But every bit they said there’s no steep trails for adventure seekers, it’s actually what adventure all about. While we made our way to the Twin Lakes, I saw an elongated ridge that is peacefully situated on its own innate state. Kuya Rhengie told me that the Mountain I have seen was actually where the Twin lakes is located. So my excitement sprung up and I couldn’t wait to see it with my naked eyes. 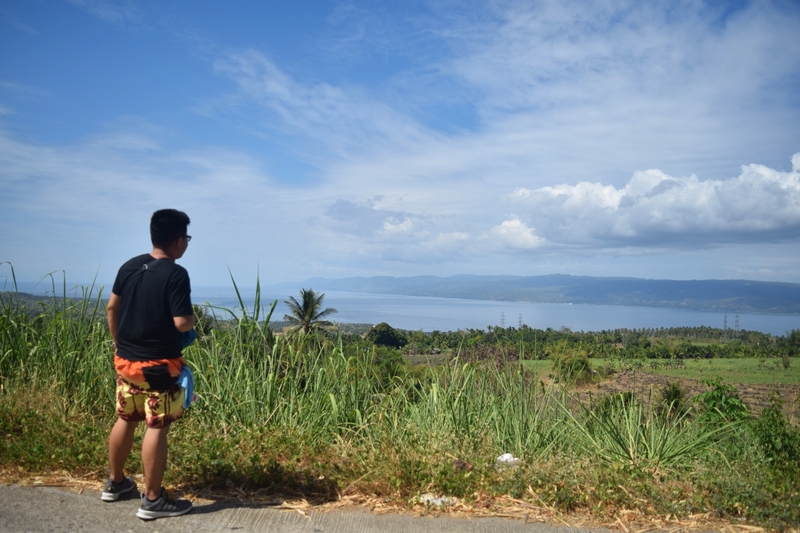 It was too hot during our visit, because the road going to the Lakes is facing the vast Island of Negros and juxtaposed to the Island of Cebu. Soon enough we arrived at the registration area, where we have to pay our entrance fee including the motorcycle (Habal-Habal). From the entryway, it was a steep trail due to the hilly road going to the lake. Carrying two passengers on a motorcycle is not advisable, so I suppose I have to apply the quotes that says “sacrifice oneself so others can ride”. Precisely, I went down from the motorcycle and I let my cousin enjoy the ride and I started to walk, up until the motorcycle can carry two passengers again. Soon enough, we have officially set down on the main entrance where we have to walk again going to the welcoming mouth of the twin lakes. The long awaited time has arrived. I was awestruck in awe as I have seen the clean, serene, fresh and cooling breeze of an air coming from the peaceful lake and the perennial plant that are stunningly standing beside the lakes, with their elongated stem with a well formed branches and the leaf sways whenever the wind blows. I was standing on a rock facing the lake, communing with mother nature as I have talked to her and said you’re just so beautiful no matter what they say. Merely a question slowly crawling to my mind and says, where is the other lake? Hence, I found out some tourist who’s riding a boat going to the other lake and I see it, not challenging, but it’s a way far easy and of course a cool way of grabbing the chance to finally feel the essence of floating on a lake. But an adventure seeker like me, I took the other way, I got to touch the other lake with an extra challenge where I can exude clear liquid from my sweat glands. At 900 meters rocky trail was eventually the exact choice if happen you wish to hold a real adventure. 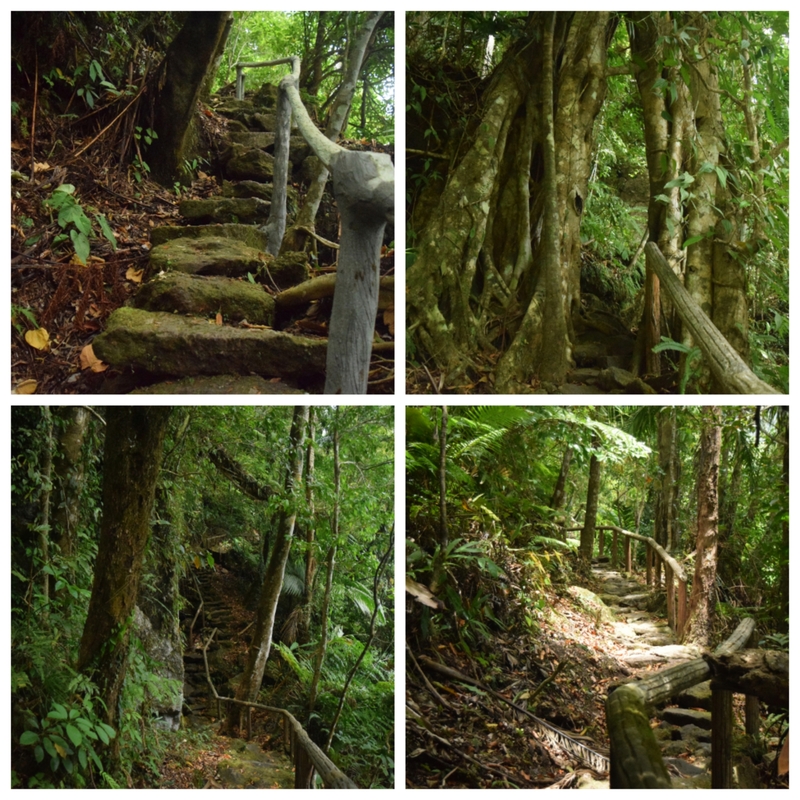 The trail has a banister on a right side where the color of it is resembled to the big elongated stem of the trees. Leading to the second lake is fun, you’ll see the different forest species like birds, butterflies, ants and many others. 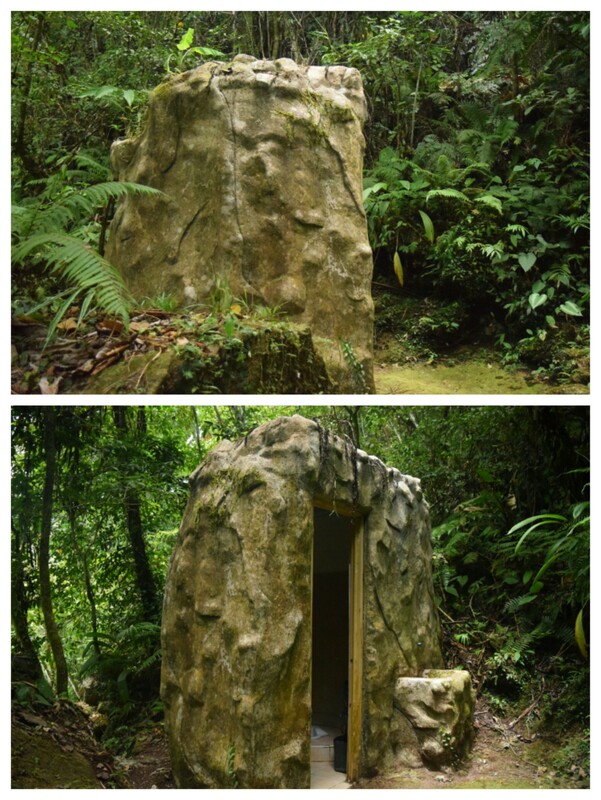 You’ll also discover the toilet on a forest in which I thought was just a piece of design but turned out an interesting thing. It was indeed a real adventure as my sweat is slowly coming out from my skin. We keep on our trek until we could finally reach the second lake. 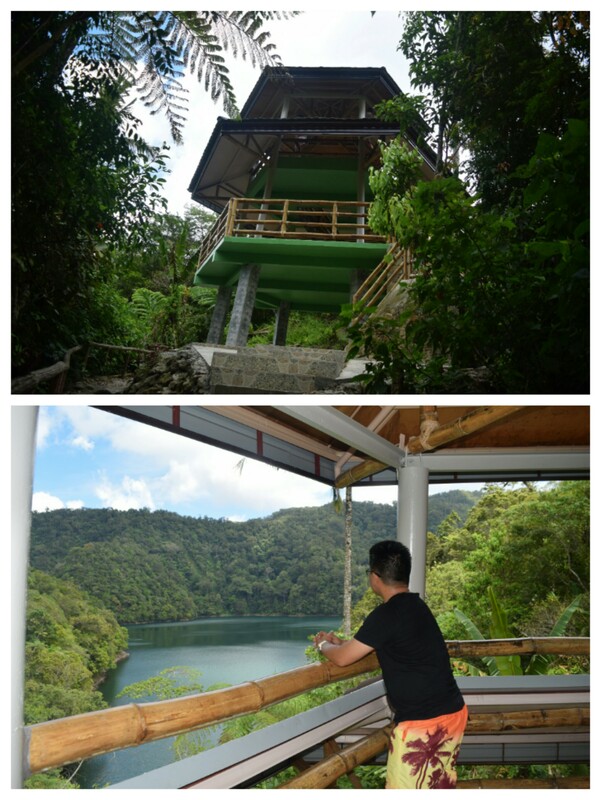 I immediately noticed the 3 storey viewing deck that offers the panoramic vista of the twin lake. We then take hold of the chance to go on the upper viewing deck to see the innate beauty of the lakes from above. The cold breeze kissing my surface and I think it is the best time to have our rest after our long trek. The second lake is fenced in by different green trees and plants and it is deeper than the first lake. According to kuya Rhengie our driver, who happens to be our guide also, he said that no one have had ever reached the underside of the lake because it is too deep. Afterwards on, our short rest, I finally went down to get closer to the second lake. I saw the large trunk of the trees that has been peacefully lying down for I guessed quite long already. It serves to be the bridge if you bid to get closer to the lake. After taking pictures and communing with its beauty I decided to go back and look for my cousin and our driver since it was only me who went down to the second lake. Another backbreaking 900 meters of trek going back to the first lake had challenged my two little itchy feet. Only when we almost reached where have get started, I saw a perfect spot to climb on a tree and had my signature pose facing the calm lake. I called my cousin’s attention if she could get a picture of me standing on a trunk of the tree. Good thing she’s kind enough to say yes to my plea. We keep on our trek and soon enough we have made it up to the main entrance of the lake. At the main entryway, there’s a viewing deck, a beanery and a souvenir shop. 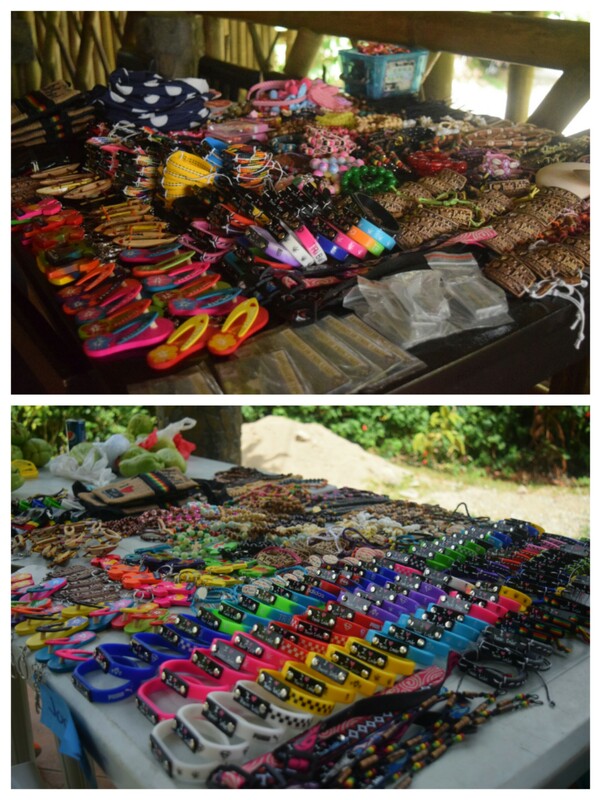 Hence we decided to have our rest, have some refreshments and my cousin bought some souvenir items. Another fun filled day for us, we wish to stay more, but we sustain to leave to visit other tourist attractions in Negros Oriental. The “Pulang Bato Falls”. I’ll post on my blog soon. But before we made our way back to Dumaguete City, I wonder how could it be if I tried to swim in the lakes? I’m sure the water is frigid because of green trees nearby and will surely pacify my jaded body. But in whatever case, I won’t dare to swim in the lakes. It is more than enough that I conform to them both. If you desire to add an extra spice during your visit. The activities below will surely build your visit extra special and fun filled experience. You can book a flight going to Dumaguete City, since Dumaguete City is the entry point. The minute you arrived in Dumaguete City go straight to the jeepney terminal. Ride a PUJ (Public Utility Jeep) going to Amlan and get off at the juncture in La-laan in San Jose. Fare is PHP 15 and may take 15-20 minutes of road travel time. 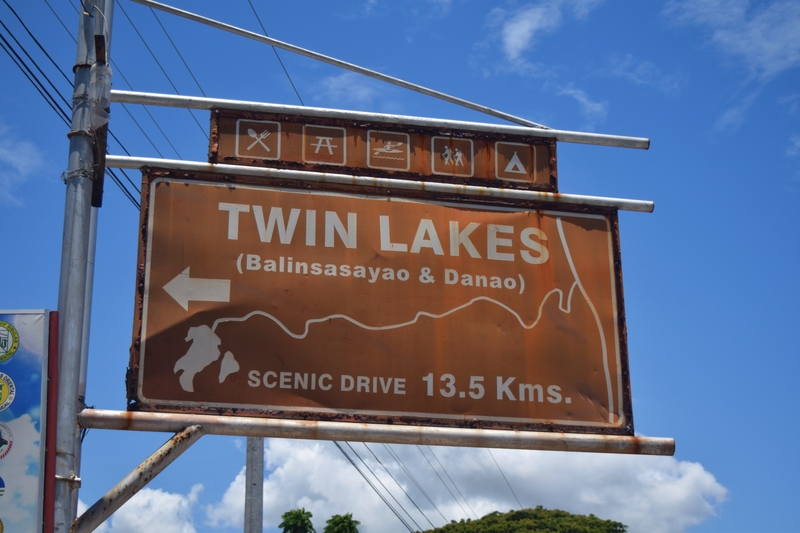 Simply keep your eyes on the left side of the road as you made your way because you’ll see a signage that says” This way to Balinsasayao Twin Lakes”. From there hire a motorcycle (Habal-Habal). They charge you PHP 200 each person that’s good for back and forth. Be careful as some local drivers offer high price. You can as well rent a motorcycle if you have your drivers license with you at Dumaguete City. A day rental can cost PHP300- PHP350 and can already take you to places you wish to travel to. Please don’t forget to bring your water. If you like to swim in the lakes, then bring with you an extra T’shirt. Previous Post: Responsibility means being responsible. Next Post: Why you should celebrate and be happy while you’re still SINGLE. Great photos and a beautiful day. I especially like the trail through the trees. Fantastic photos! Someday I will sail over for a visit, and I will take you out for a day of sailing, for a day of food and fun, Philippine style! fantastic pics! Comprehensive description. liked it. Thank you for dropping by. I hope you enjoy reading my adventure. Have a great day ahead! Yeah, I agree, it sounds like that way. Yeah, the trail was a bit tough but it was awesome as we continue our trek. I’m glad you enjoyed checking the photos. It will be an honor to tour you around the Philippines. Just let me know if your going to visit our country and I’ll drop my schedules to help you view the wonderful tourist destination in the Philippines. 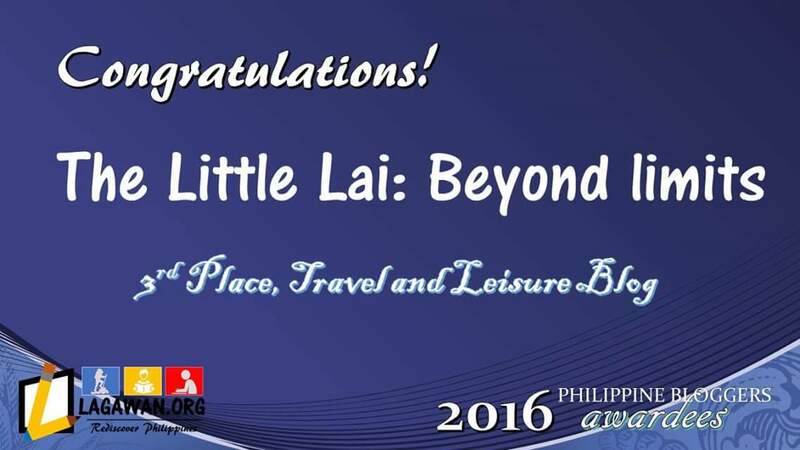 Thank you so much for dropping by and reading my travel journey. People should supposed to always consider that. The sad part is some people don’t hold the same love for nature. Thank you for dropping by Joyce. I appreciate it. 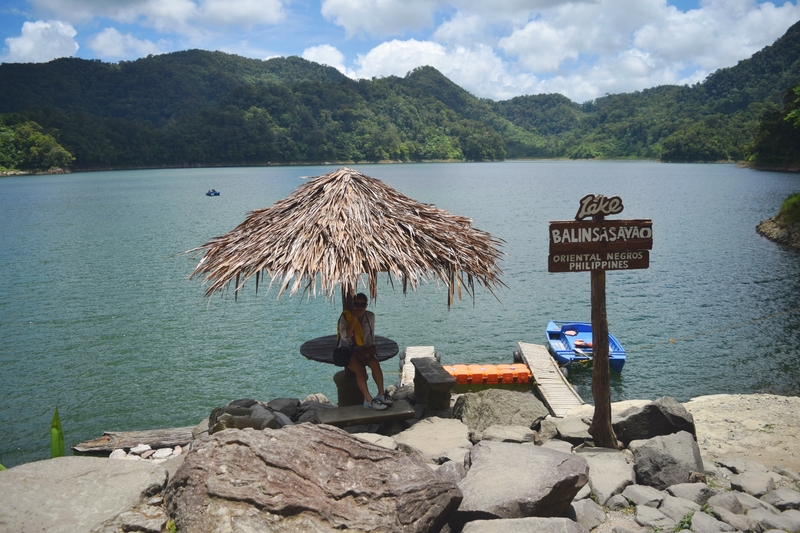 Knowing that you’re going to visit Balinsasayao twin Lakes, it’ll be something to count forward and read your experience there too. Have a great day ahead. God bless for both of you! You stated it really right. And when you held that peace of nature, it really leaves you speechless. Oo nga subrang ganda talaga. The calmness of the water really gives the soothing notion that seems to bring your psyche somewhere. The twin lakes look so serene and enchanting. Happy to see your passion for nature has once again led you to unveil for us another natural treasure. The path to the lakes also looks rugged and natural to the core. I am sure once you go to the lakes, a thrill would have coursed through you being at the wonderful vista in front of you. Balinsasayaw Twin Lakes looks absolutely stunning! I can’t wait to be traveling full time again so I can start finding these gorgeous off-the-beaten-path places. Makes me want to buy a plane ticket and rent a motorbike right now. It is so important to commune with nature whenever we can. I believe it totally changes the way we see the world and how we appreciate life. This area looks awesome. I LOVE their bathroom design. You could almost pass right by without even noticing, but I like that idea of blending in with nature. Looks like a great area. Love the detailed post! I went to the Philippines last year but I wasnt able to check out the other parts of the country except for Bohol, Cebu and Palawan. I love that there’s so many beautiful places in the Philippines waiting to be discovered like this twin lakes natural park! Riding a Habal-Habal to a secluded destination sounds like an adventure. That seems like an excellent mode of transportation to an already exciting destination. That’s amazing that a few years ago the road wasn’t established so people who really wanted to go had an extra roadbump to overcome! Thanks for sharing. Looks beautiful. Natural beauty always provides tranquility, isn’t it? And when it is as green as the balinsadayao natural park then it definitely will. With so much of greenery around to soothe the eyes and water in the middle like a gemstone shining..what else does one need! 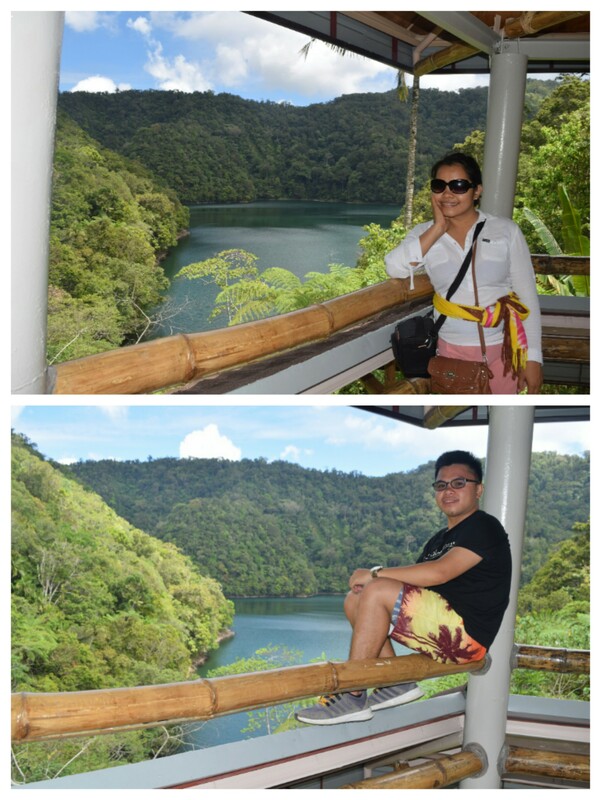 A twin lakes in Dumaguete, how very interesting. 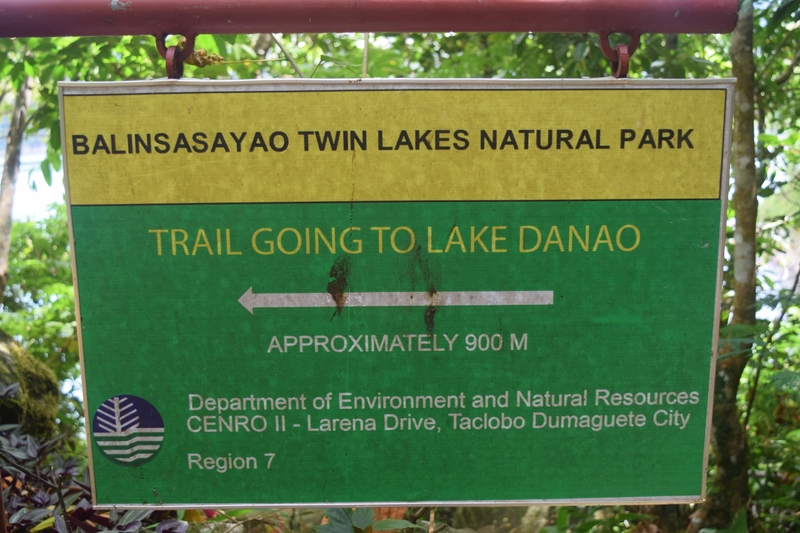 So far there is only one twin lakes that I’ve visited and that is the Pandin and Yambo lakes in Laguna. 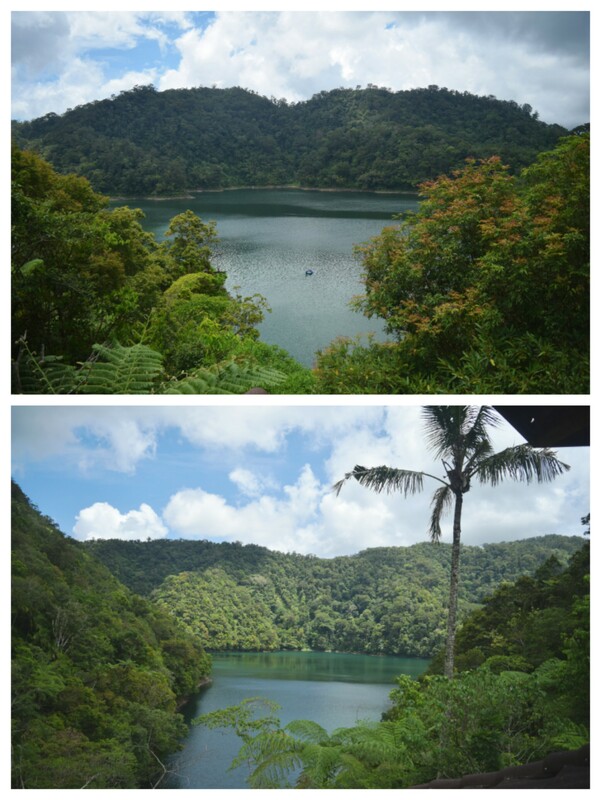 Based on the photos though, it looks like Balinsasayao lakes are more beautiful. I have never been to Dumaguete and to be honest I didn’t know what to see there, just wanted to go because of the sylvanas haha… At least now I have a place in mind when I finally come visit. These kind of serene surroundings would hold me too in awe! Gorgeous green sights. Habal-Habal ride sounded adventurous. Great you sacrificed the ride for your cousin. Philippines seems to have an endless amount of beautiful destinations! What a pity that we are so far apart from each other, me here in Finland. When the autumn comes, I would rather be there! It makes me sad that I haven’t been to see the twin lakes yet. I hope I get to see it when I come back to PH. It is a really a nature’s wonder and you standing on that fallen tree actually made me think if I can do that too. 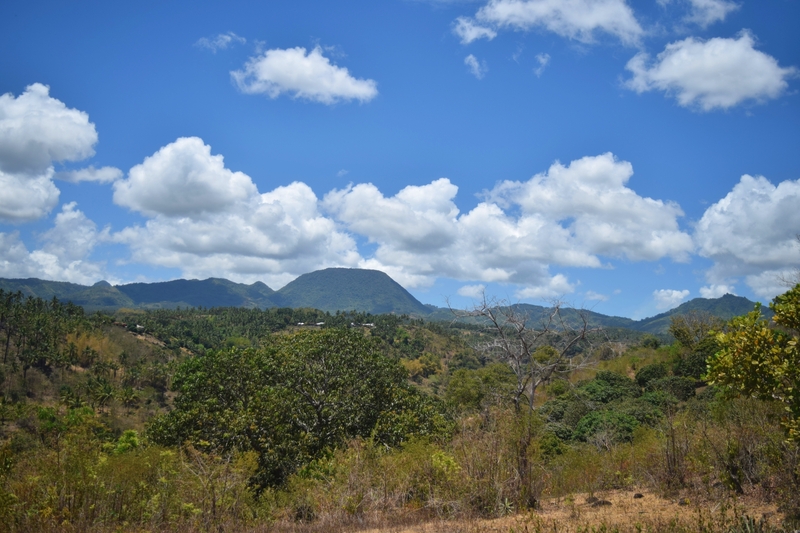 Loved your photos of Balinsasayao. You didn’t post your signature pose or there isn’t a picture of that? Isn’t it the one with a scarf waving in the air? Hehehe. I have a question, is this place called the Balinsasayao Twin Lakes because of the migratory birds? Very beautiful place. 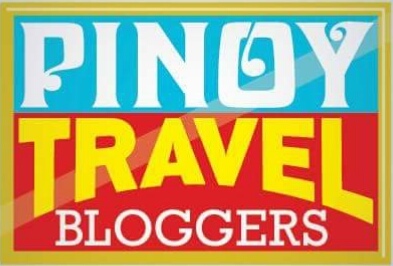 Lots of beautiful and magnificent places in Dumaguete and Negors, what’s best is you can find them at dumagueteneo.com. It would help you traverse Dumaguete and Negros easily.